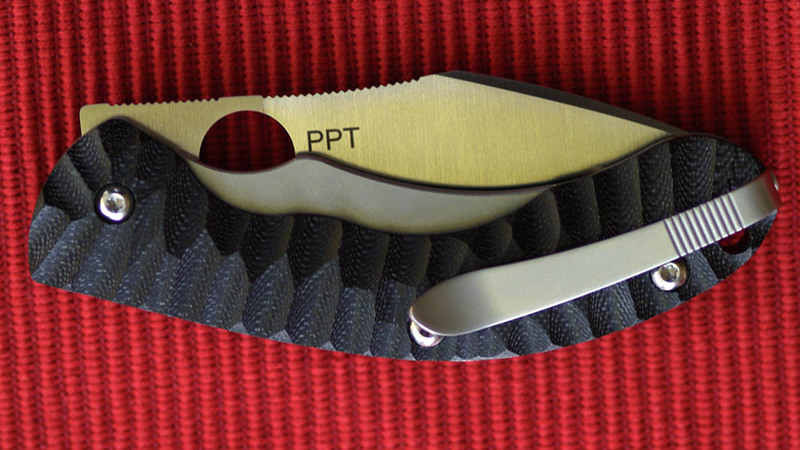 The C135 Perrin PPT is a mid-sized knife with a lock that is part Walker Liner Lock and part Reeve Integral Lock. Video and pictures of the prototype from the IWA show March 2010 (courtesy of Mr. Blonde, AKA Wouter). 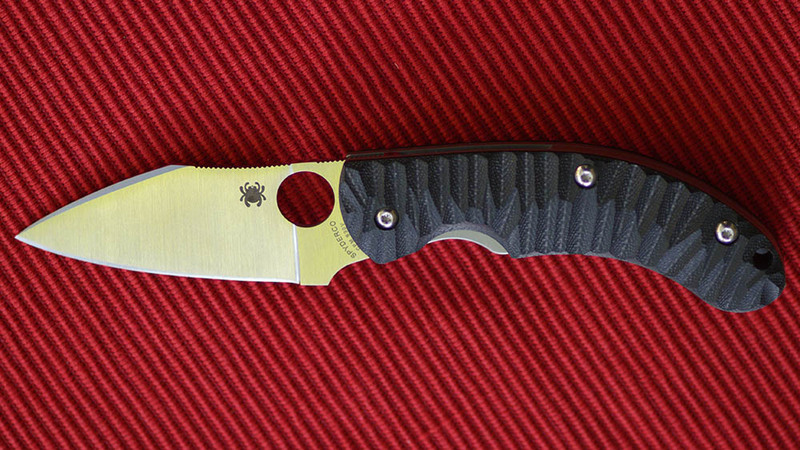 "Full of innovation, his recent alliance with Spyderco results in the Perrin PPT folder. P.P.T. refers to the folder’s three designers; Fred Perrin, Philippe Perotti and Sacha Thiel. The lock is a crossbreed annexing components of both Michael Walker’s LinerLock® and Chris Reeve’s Reeve Integral Lock. It functions as a frame-lock but a black G-10 scale overlaying the lock makes it appear closer to a LinerLock. The black G-10 handle scales are milled with corrugated creases for skid-free and ergonomic handling. Its full-flat ground CPM-S30V steel blade is a modified-Wharncliffe profile with a finger choil and spine jimping and a tapered spine-swedge. Screw together construction makes cleaning and adjustments simple. Left/right deep-carry pocket clip and handle lanyard open the door for endless attachment options"
The C135 Perrin PPT is made in Taiwan. This page was last modified on 10 March 2018, at 01:07.